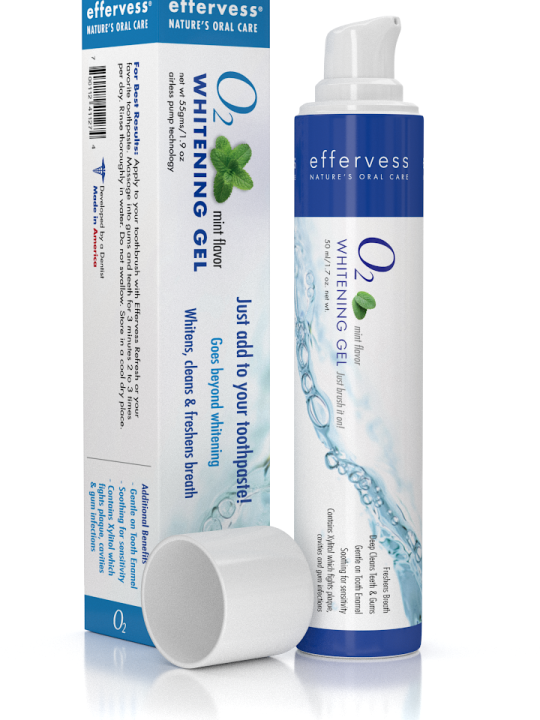 Patients who are concerned about their exposure to unnecessary artificial chemicals and additives in their oral care products now have a natural alternative with the Effervess oral care line available at Loveable Smiles in Richardson. 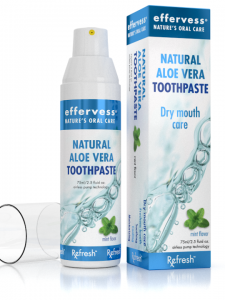 The Effervess line was developed by a dentist and features the soothing properties of aloe vera as well as xylitol, a natural cavity fighter that helps keep a neutral pH level in the mouth. 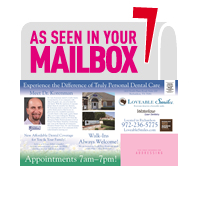 Xylitol prevents bacteria from sticking to the teeth. We all know how embarrassing bad breath can be, and dry mouth conditions not only cause bad breath, it cause cavities and gum disease. If you take any of the hundreds of medications that cause dry mouth or have certain medical conditions, you may have dry mouth and not even know it. Aloe Vera is an ancient plant known for healing and antibacterial and anti fungal properties. No Hydrated Silica or baking soda; No SLS; No harsh chemicals. Contains calcium and Xylitol to help strengthen enamel and reduce sensitivity. 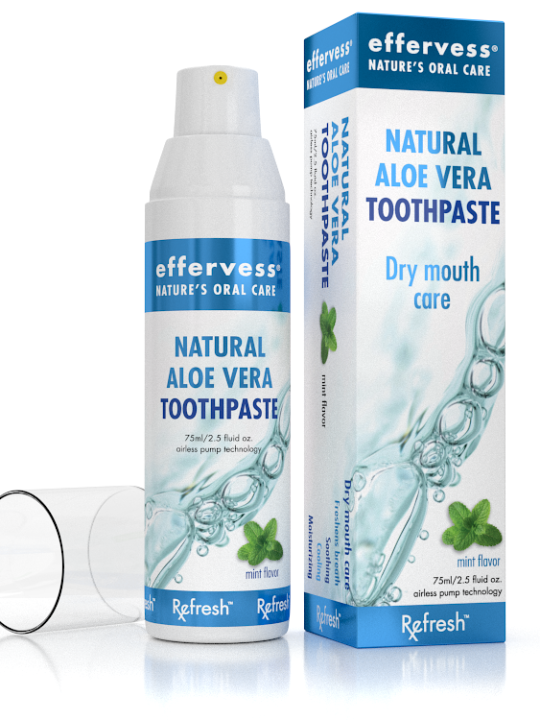 Developed for dry mouth – Loved by everyone who wants better check-ups and a healthy mouth, naturally. 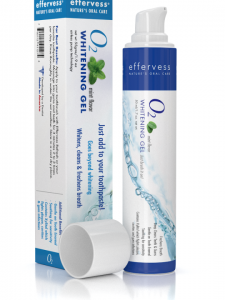 O2 is a wonderful product that oxygenates your gums and whitens your teeth while brushing. Just apply to your toothbrush with or without your favorite toothpaste. A neutral PH balance reduces acids in the mouth and Xylitol fights cavities. No need for messy, bulky trays and strips – Just Brush it on!! Natural Vitamin E Lip Moisturizer smoothes dry skin & fine lines, heals cracked lips and repairs cracked or scarred skin. Designed to moisturize, smooth, heal and repair damaged skin…naturally. Vitamin E Oil is a natural antioxidant. 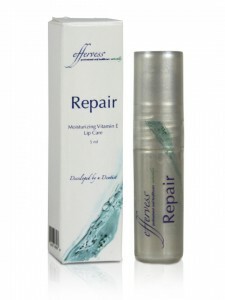 Its properties aid in anti-aging and restores the normal oil balance in the skin. Vitamin E prevents water loss, provides protection and soothing relief, softens skin to help with scars and restores the natural elastic properties of skin.